We might be biased, but Austin is home to some of the best art and cultural experiences in Texas. Living in the state capitol, and apartments near East Austin, gives us access to a number of world-class museums. Many are even just a short bike ride away! From art enthusiasts to history buffs there is something for everyone to enjoy. Many museums in Austin are free or only charge a small fee, which makes them a great activity for rainy or hot days. Read on for our list of top museums to visit in Austin. Hope you’re ready to visit some of these Austin gems! Please feel free to share the link to this page with your friends when you’re done reading. Better yet, go ahead and share it with your neighbors at Corazon — the apartments Austin residents choose for luxury living on the east side! It’s safe to say there is no other museum experience like the LBJ Presidential Library. Located on The University of Texas at Austin campus, this museum pays tribute to our 36th president, Lyndon B. Johnson. The museum is one of only 14 presidential libraries and explores the experiences and accomplishments of LBJ and his wife, Lady Bird Johnson. Visitors are transported back in time and can listen to historic telephone conversations, view a replica of the Oval Office and view the president’s archives. Founded in 1984, the Mexic-Arte Museum was created to share the art and culture of Mexico in Texas. 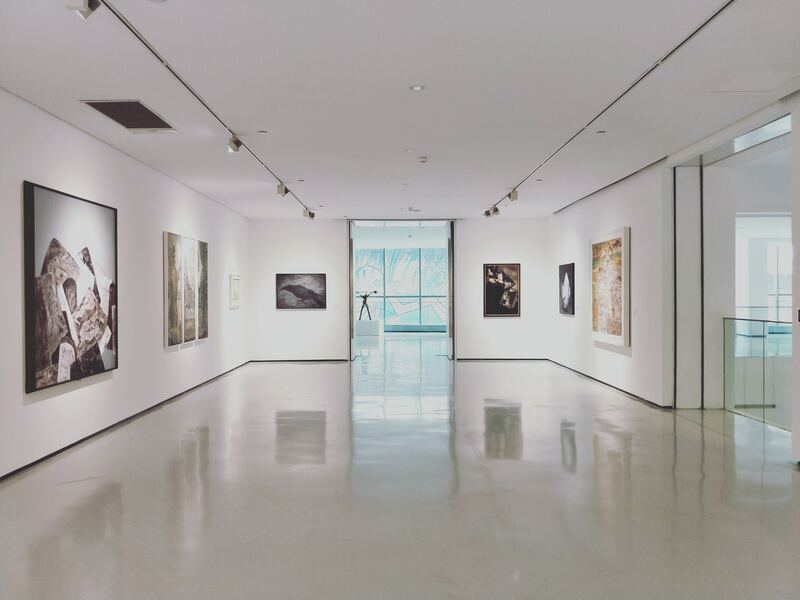 Visitors can experience a rotation of exhibitions from emerging artists that aim to promote cultural enrichment. You can find the Mexic-Arte Museum downtown on the corner of 5th St. and Congress Ave, which is an easy bike ride over from apartments near East Austin. If you’re planning to head over toward Barton Springs or Zilker Park be sure to add a stop to the UMLAUF Sculpture Garden & Museum to your itinerary. This indoor/outdoor collection showcases 200 works of art that were donated by the American sculptor, Charles Umlauf. The land and art were donated by Umlauf and his wife and remains the largest collection of his work. Visitors can also partake in a number of special events and programs hosted at the venue. We recommend jumping in on a guided tour for a more in-depth museum experience. That’s all we’ve got for now! At this time, we’d like to thank those of you who have been coming back month after month to read every new blog coming from our apartment community in East Austin. We’ll be back in a couple weeks with another brand new blog post, so we hope you’ll come back to read it! More than that, however, we hope that you’ll be able to check out some of the amazing blog lunch spots that East Austin has to offer its residents. We’ll be back with another blog for you toward the end of February! If you enjoyed reading through this week’s post so much that you want to see the next one right when it goes live on our website, we encourage you to bookmark our blog page. After all, there’s no faster or easier way to guarantee that you’re always able to enjoy easy access to future posts when they go up on the site. In the time between now and when our next post goes live, you can stay informed about upcoming resident events and promotional giveaways by following Corazon on social media! That’s the best way to keep up with everything happening at your community of Austin apartments.